capability than any other instrument in the class! of high precision, moderately priced servo drives and controllers! modulus, polar momment, bend point etc. work within established production systems. OSHA compliant. last clubmakers a life time of service. 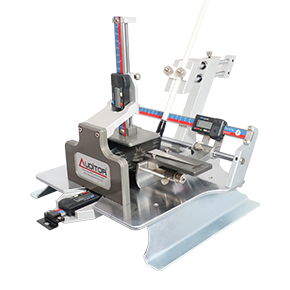 Designed primarily for OEM golf club manufacturers for bench marking the suitability of structural epoxy adhesives to be used for shafting golf clubs in a production environment. 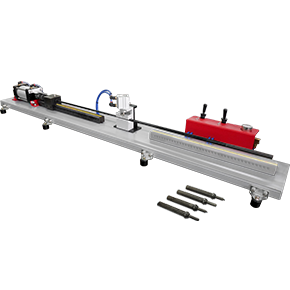 The Auditor Omega Digital epoxy cure system provides both the control and accuracy needed to develop unique curing profiles that drastically cut down handling time between assembly steps without compromising optimal adhesive performance. let the epoxy bond cure without disturbance. the rack can be adjusted for lie and length in seconds! 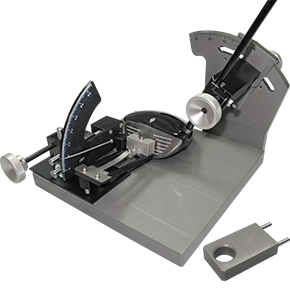 Used by major clubhead manufacturers to test for a "Spring Like Effect" of a clubhead striking face - whether woods, hybrids and irons - as specified by the R&A/USGA testing protocol for the determination of a clubhead's Characteristic time (CT). 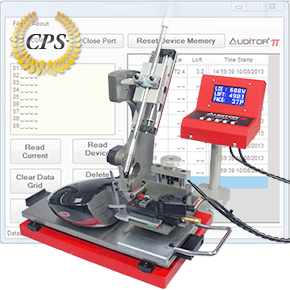 The AUDiTOR CT distinguishes itself from similar devices by the precision and quality of its build and a second to none customer service. 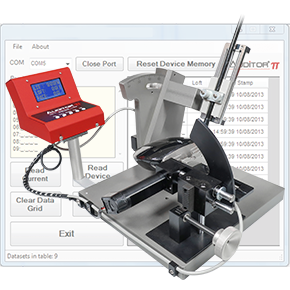 Whether used on the production floor or in the lab, the AUDiTOR CT will provide peace of mind test after test. This machine is sold to R&A/USGA license holders only. Machine ships ready to use. Light assembly required. Mass Property and CG Coordinates measurements in less than 5 minutes! 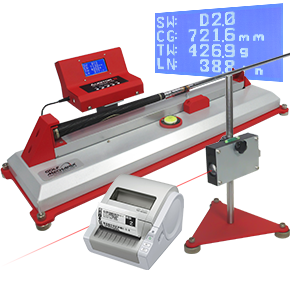 A specialist instrument for locating and measuring the CG coordinates of any golf clubhead in three axes, to within 0.5 mm. Also measures the CG angle of the club head. 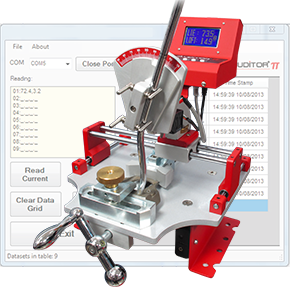 High precision electronics with advanced data collection software included. Please inquire for availability and lead-time. 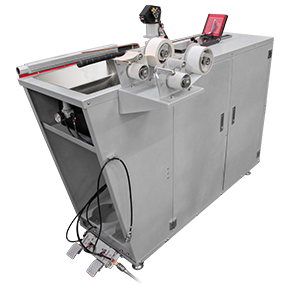 functionality, high output, precision, and a low operating cost. 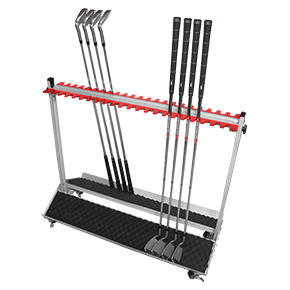 club rack help minimize clutter. could be hazardous to both the shaft and operator when fatigue sets in! critical production step while making the process safe and effortless. A revolutionary and labor saving swing weight scale designed to absolete multiple quality control steps for clubs comming off the assembly line. 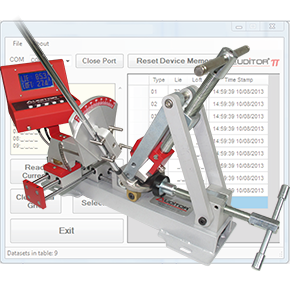 The Auditor MPS captures swing weight, Total weight, club length, and CG location in under 30 seconds and can send the data to a barcode printer too! 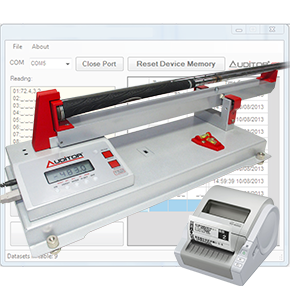 The Auditor Heavy Duty Optometrix Frequency Analyzer is an invaluable tool for high-volume clubmakers used to consistently measure shaft frequency of both assembled clubs and raw shafts. Other frequency machines measure by reflected light which often results in missed or inconsistent frequency readings. By using a laser as the primary light source, measurements are not affected by ambient or reflected light, shaft color or shaft material. 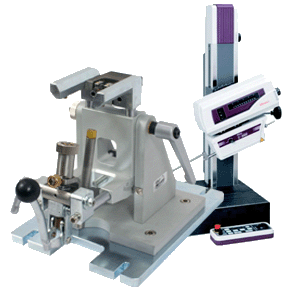 A heavy duty base protects the electronic components of the analyzer. critical stages of the assembly process. 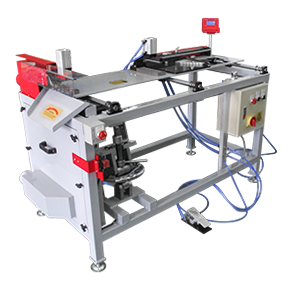 This production model has quality control functions that are easy to setup and operate. 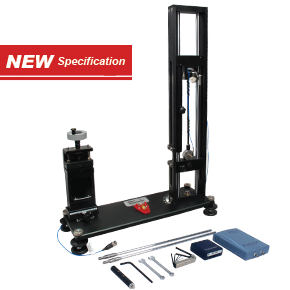 A professional heavy duty golf clubhead measuring gauge used by casting houses and OEM manufacturers to specify lie and loft angle, hosel offset, face progression, face angle, bulge, roll, and hosel to sole length measurements - on both woods and irons (where applicable). A lie and loft measuring gauge optimized to account for the latest design trends and specifications driving the development of oversized drivers. The loft and face angle gauge were completely redesigned to permit the "probes" to be placed at specific points across the club face, allowing loft and face angle measurements to be made that account for roll and bulge. and save clubhead measurements for analysis. lie and loft guage specimen used by Golf's governing bodies and some OEM's to explore golf club head specifications sequentially rather than concurrently. Sequencing club head specifications allows for the measurement of lie, loft and face angle independently of each other while the head is manipulated to assume the most advantageous position specific to each variable. 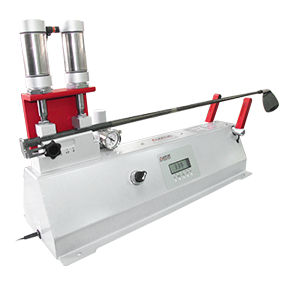 The AUDiTOR RII Clubhead Dimensioning Gauge was designed in accordance with the latest USGA and Royal and Ancient Rules of Golf Appendix II, governing the conformance of clubheads. 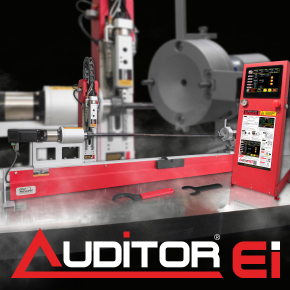 The AUDiTOR RII is a state-of-the-art gauge that enables a quick and precise dimensioning of woods in one easy setup. Please inquire for availability and leadtime. 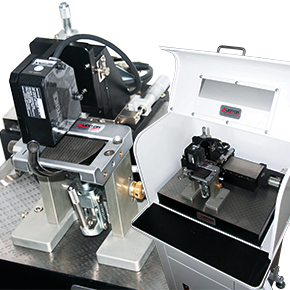 Designed by special request for casting houses, to aid in the implementation of the R&A/USGA Clubhead Groove Conformance rule, the Auditor Ultra High Speed Groove Scanner integrates the best of the best non contact measurement devices and linear drive systems to achieve unmatched micron level accuracy at high speed. 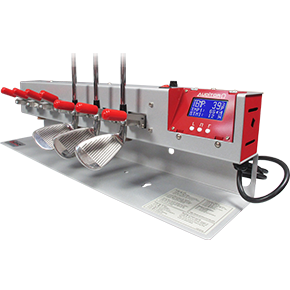 Easy to operate and setup thanks to the in-house designed custom control software. 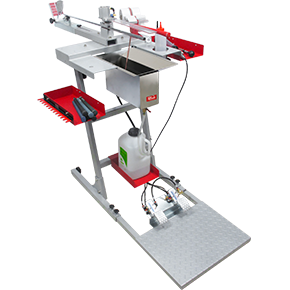 The operator can select from several scan modes, each of which is optimized for speed, accuracy, surface condition, planarity and more. Depending on the scanning method selected, scanning speeds of up to 1mm/s can be achieved resulting in a scan time ranging from 30~80s/clubhead. 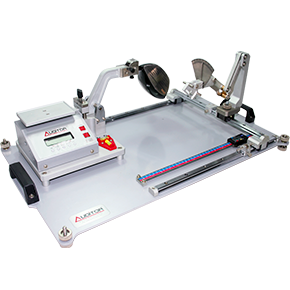 The GolfMechanix R&A/USGA Conforming Groove Profile Cutter Checker is designed for checking the width and angle of cutters used specifically for engraving grooves on clubheads. This easy to use precision microscope is an inexpensive alternative to the more expensive, cumbersome and difficult to use Shadowgraphs. 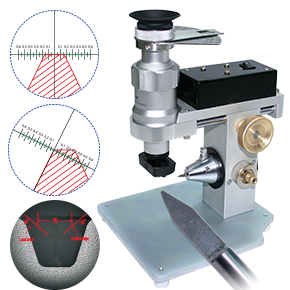 This compact desktop device features a special chuck/blade holder that positions the blade flat in relation to the viewing angle, so it can be measured accurately on a high-resolution reticle with a precision of 0.01 mm and a magnification of 20x. A blur-removing sharp focus LED light, helps enhance edge contrast for added precision. Designed by special request for casting houses to aid in the implementation of the R&A/USGA Club-Head Groove Conformance rule. 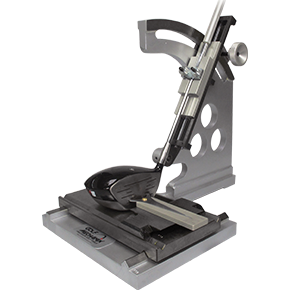 This infinitely variable adjustment vise provides the level of flexibility and ease of use needed to secure the club head to be scanned under a stylus type contour tracer with a high level of precision. 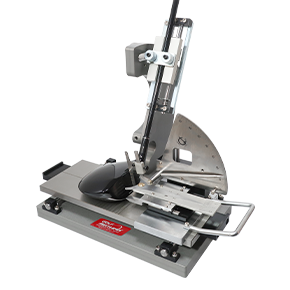 Suitable for both woods & irons, including drivers and hybrids, the vise gives the operator all the control needed to position, align and clamp the club-head in one easy setup, thanks to the visual alignment aids built into the design without interfering with the stylus escapement direction. 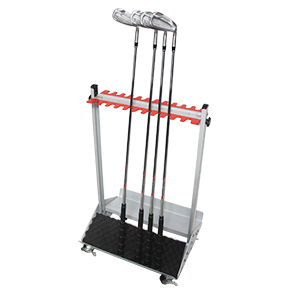 with all the productivity tools a clubmaker can imagine! leaving the operator to focus on proper grip installation. Production capacity is over 60 grips/hour.